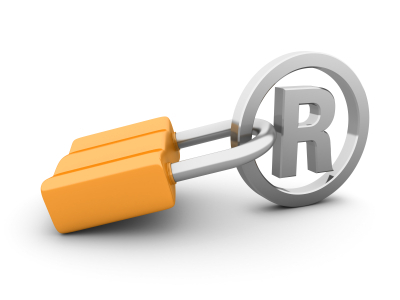 When starting a business, trade mark registration may not be the first thing on your mind. But, failing to protect your chosen brand or company name early enough could have huge implications for your business in the future. This is graphically illustrated by the recent experiences of Pinterest, the social media website, who have lost the right to use its trade mark name in Europe. In a globalised economy, particularly for online businesses where the aim is for your brand and company name to spread rapidly worldwide, it is vital that you take a strategic approach to IP protection for your brand or company name at an early stage. Pinterestwas launched as a business in the US in 2010, but didn’t apply to register the word PINTEREST at the US Patent and Trademark Office (USPTO) until 1 March 2011. The USPTO’s records show that Pinterest failed to supply the supporting documents required for the application to mature to registration, which resulted in the application initially being abandoned. The application was revived in January 2012, published for opposition in March 2012 and then approved for registration (in the US) in May 2012. Unfortunately, on 31st January 2012 a London-based start up, Premium Interest Ltd., had applied for a European CTM trade mark for the word PINTEREST for use on its corporate website news feed. Although the company has not yet started to use the mark, under European trade mark law, trade mark owners have five years from the date of registration to begin using the mark before a third party can initiate cancellation proceedings. Pinterest brought opposition proceeding against the PINTEREST application citing the existence of PINTEREST as an unregistered trademark in the EU as a whole and in the UK in particular. The case for use in the EU was dismissed by OHIM due to lack of supporting evidence. This means, in effect, that Pinterest cannot use its trademark in Europe without the prior consent of Premium Interest Ltd. Premium Interest has now also applied to register the trademark PINTEREST in Australia, New Zealand, Brasil, Turkey, Malaysia, South Korea, India and Japan. Even if Pinterest can successfully challenge the registrations in these other jurisdictions it will take many years and will be very costly. Pinterest’s failure to secure its global trademark rights highlights the importance of implementing a strong trade mark policy as early as possible. UK Trade marks can be straightforward to register, but, if you hope to, or already, operate in an international market, it is advisable to speak to a specialist trade mark attorney in order to ensure that your brand is protected correctly. Sanderson & Co. offers full, world-wide trade mark searching and registration services at a competitive rate. We can represent your interests to ensure your trade marks are protected and take action if your rights are infringed. If you would like information on trade marks, please contact one of our attorneys.